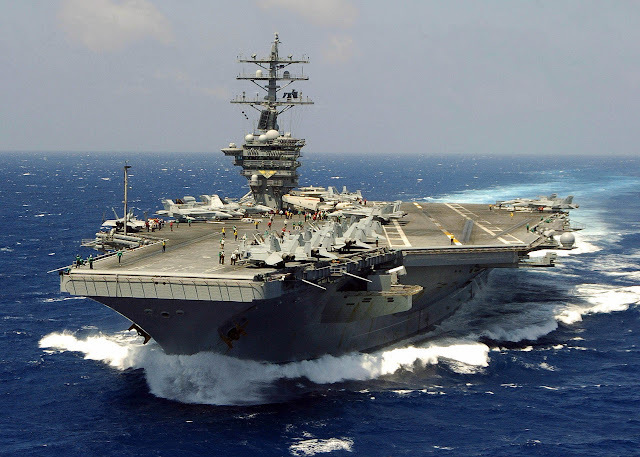 The USS Dwight D. Eisenhower (CVN-69) is back. The 38-year-old aircraft carrier was spotted cruising down the Elizabeth River on Friday morning after spending nearly two years at Norfolk Naval Shipyard for a scheduled docking planned incremental availability (DPIA). In a message from posted to the ship’s Facebook page, the ship’s Commanding Officer, Captain Steve Koehler said officers, chiefs and enlisted crew members have all moved their belongings back on board.